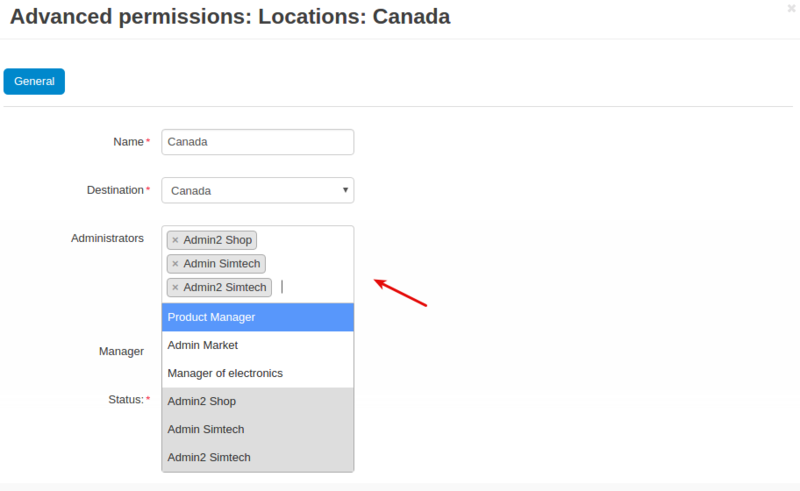 We have developed the Advanced Permissions add-on that allows you make the product and order management more efficient. 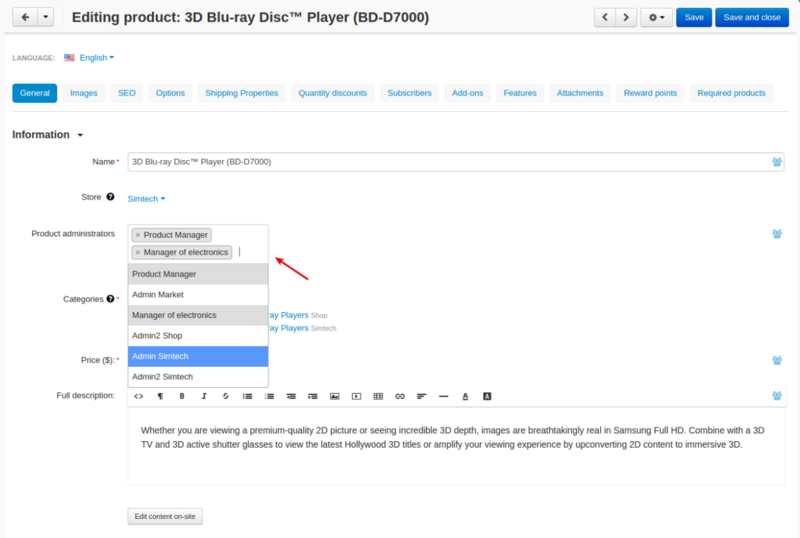 As now you can give the administrator permissions to view or edit certain products and orders. 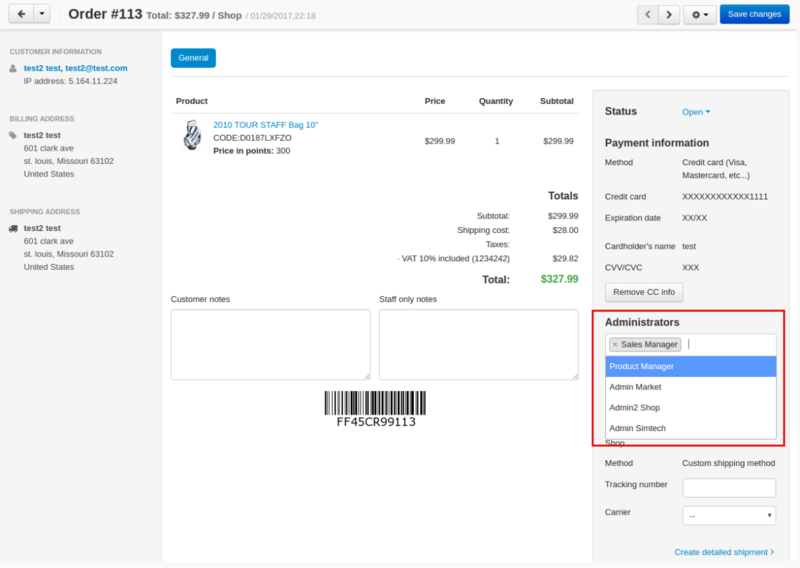 The add-on is particularly useful for stores with large catalogs or stores with multiple storefronts. It will help to avoid a mess in order and product handling. Let’s imagine you have 5 content managers. They all add products in your store and edit them. There won’t be any confusion with the Advanced permissions add-on. The managers will not see loads of products they have nothing to deal with. They will work only with the products they really need. Also, orders can be distributed among admins automatically depending on the customer’s location. For example, you can have Admin A for New York and Admin B for Los Angeles. When a customer from New York places an order, Admin A is automatically assigned to this order. Admin B will not have access to it. - Admin permissions on a per-product basis. - Admin permissions on a per-order basis. - One or more admins assigned to an order/product. - Dynamic order distribution among regional managers. - Bulk editing of product administrators. - Export/Import of product administrators. why is this feature not free, if we had prestashop, this feature is free.!!! if you want i can show it..!! i have a prestshop installation in other shop of me ! Because Simtech Development invested in the development and should get a return on their investment. If at some point CS-cart adopts this, then it would be free and included in a future product. But generally, cs-cart in the past has tried NOT to compete with their addon developers which would be a good way to have no addon developers. @tbirnseth is absolutely right. We really spend a lot to make research and create add-ons that will be useful for most customers. We also provide free support and permanently improve our add-ons by developing new features. @oleg, my assumption is that people are horribly confused that Simtech Development and Simtech Cs-cart are two different companies. While we know there is close collaboration, the separation is not clear. So they see your addons as coming from cs-cart. Yes, I always try to explain people that we are two different companies. I think eventually the separation will be clear for everyone. this feature must be free in core files from a long time!!! Thank you, we are glad to know that we created the add-on that customers want to see in default CS-Cart functionality.